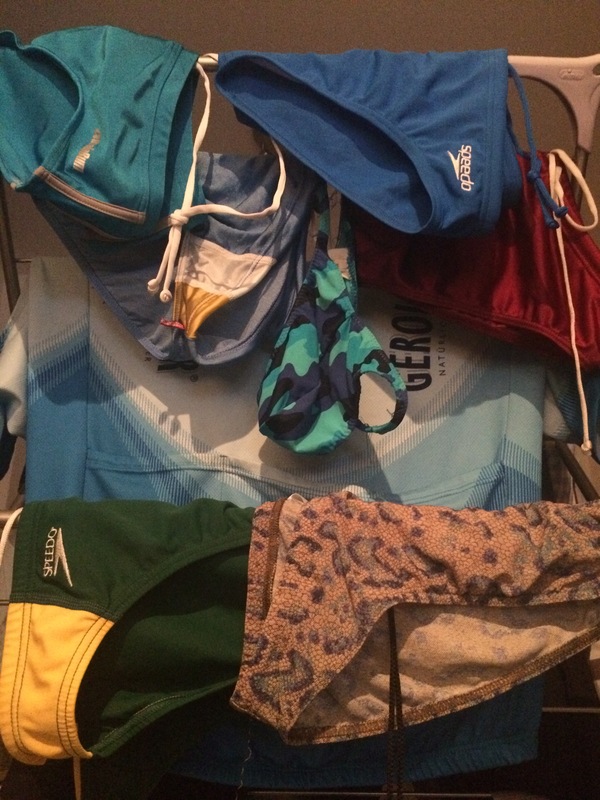 As I’ve blogged about previously my credit card has been taking a beating and my draws are bulging after some more online shopping, despite this I couldn’t resist and I have brought another couple of pairs of Aussiebum Superhero Hero swimmers and Sluggers Classic Koi Print Blue . So in an attempt to give my credit card a rest before Christmas I thought I would wear something out of my Lycra draw everyday. Day 1 – Classic Black Arena Trunks worn to work under suit. 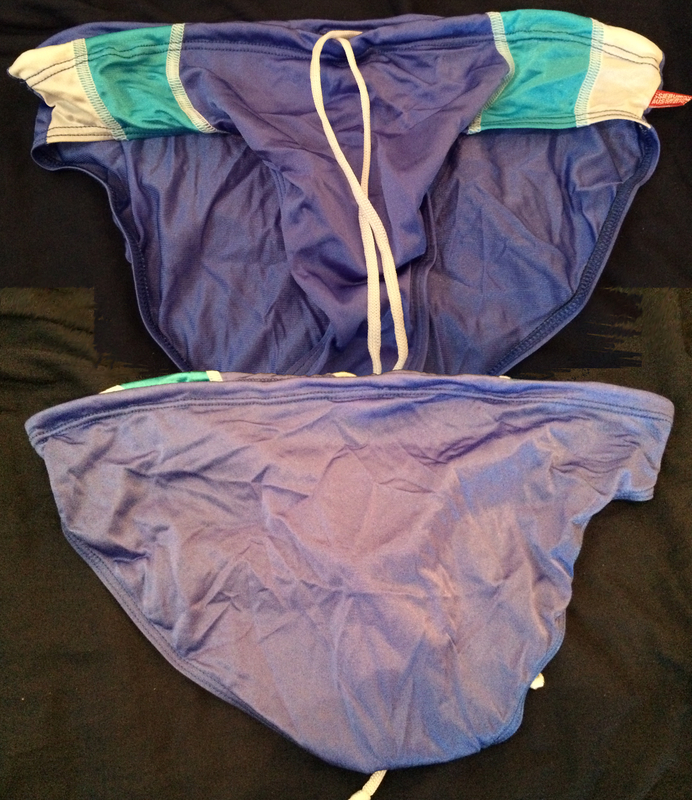 Day 4 – AussieBum Classic 1.5 Royal Blue – worn under suit to work. Day 5. 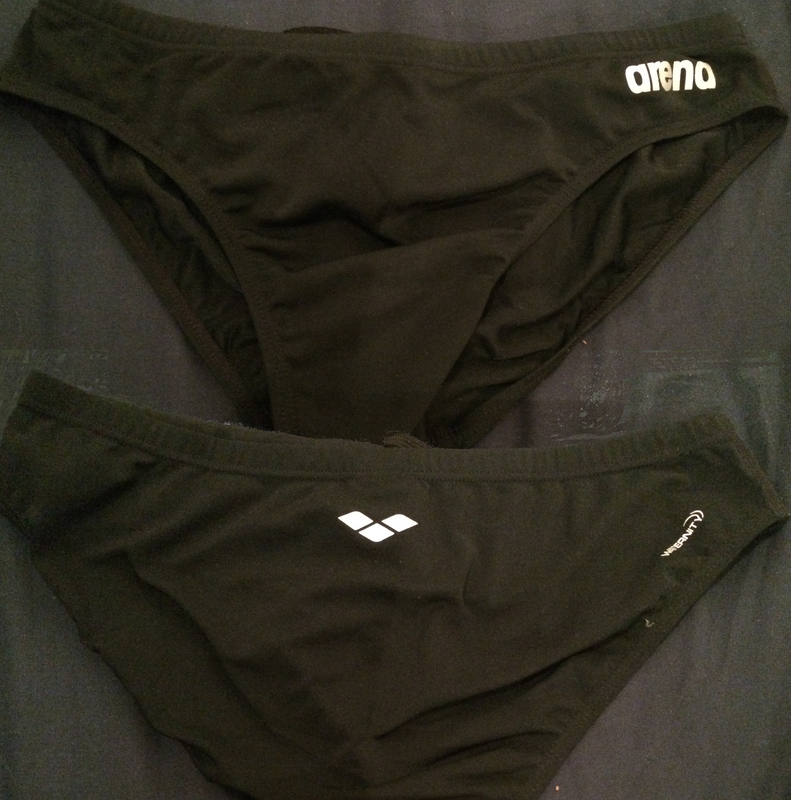 – Speedo Endurance Midcut – work under suit to work. Day 6 – AussieBum Classic 2.5 Forest – worn under suit to work. 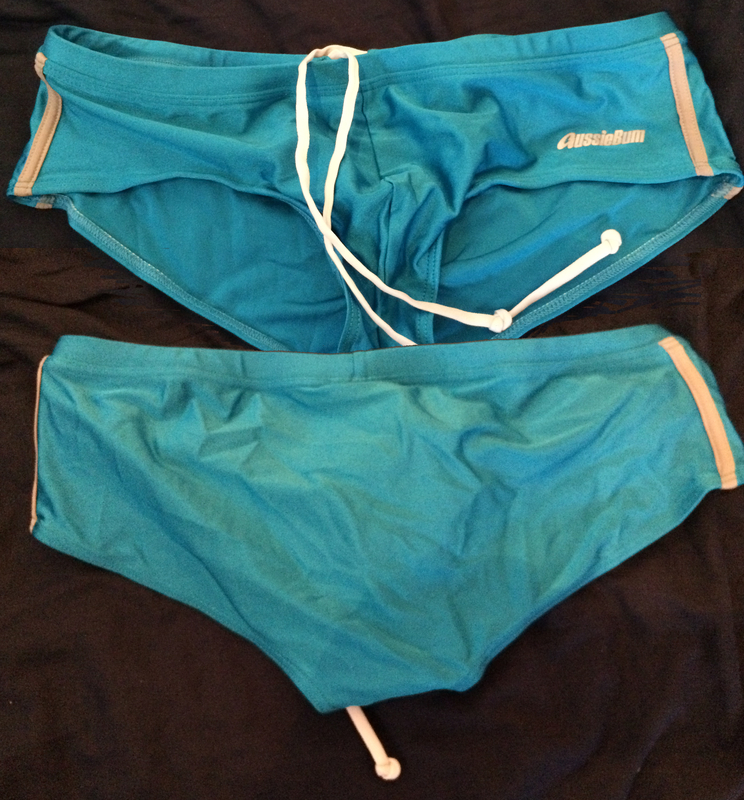 Day 7 – AussieBum Classic 1.5 Azure – worn under suit to work. Day 8 – AussieBum WJ Aspire Desire – worn under suit to work. & AussieBum WJ Loose 2.5 Whitehaven – worn under Levi 501’s to pub for rugby and a friend’s birthday drink. 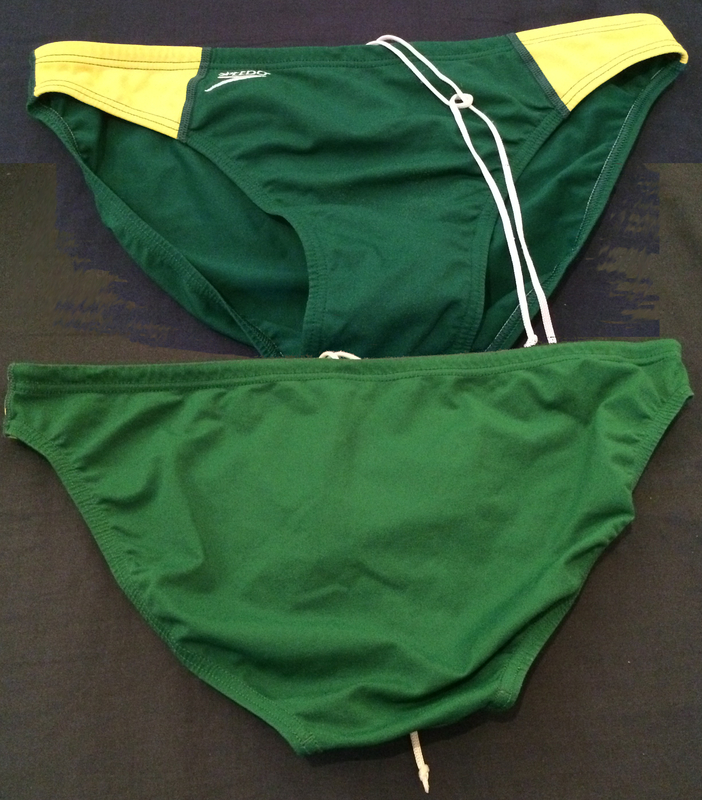 Day 11 – Green and yellow Speedos – worn under suit to work. 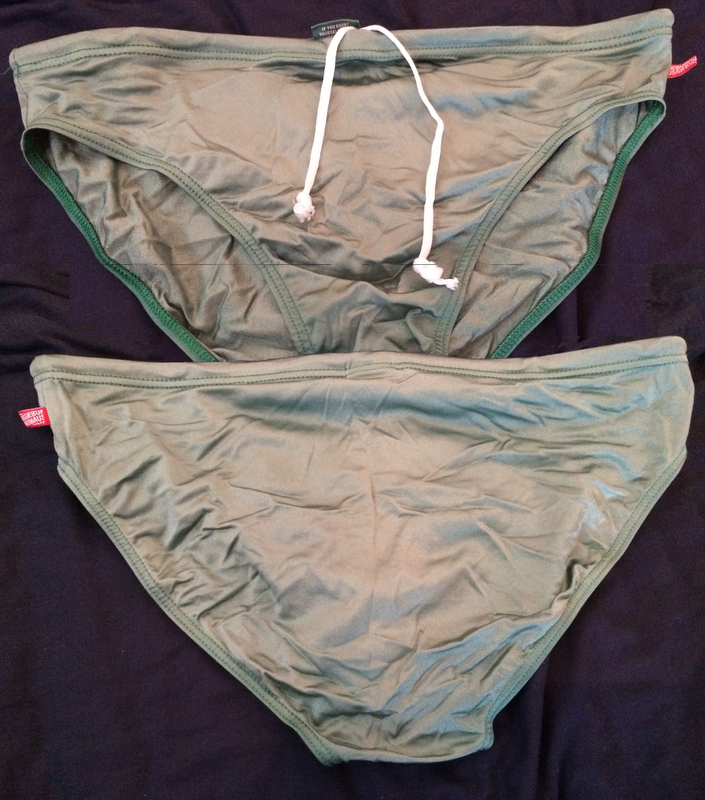 Day 12 – Tan Thru Speedo style trunks – worn under suit to work. 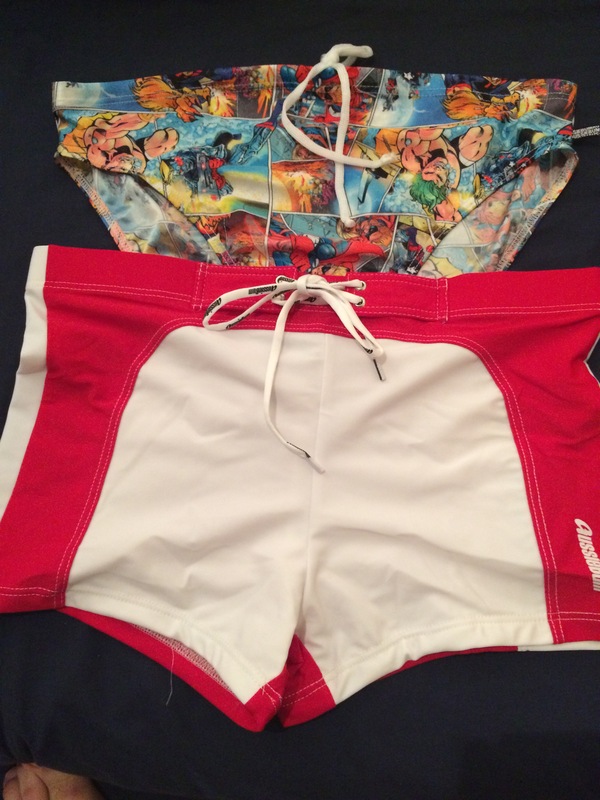 And a package from AussieBum containing a pair of Old Skool Gnarly & SuperHero Hero swimmers. 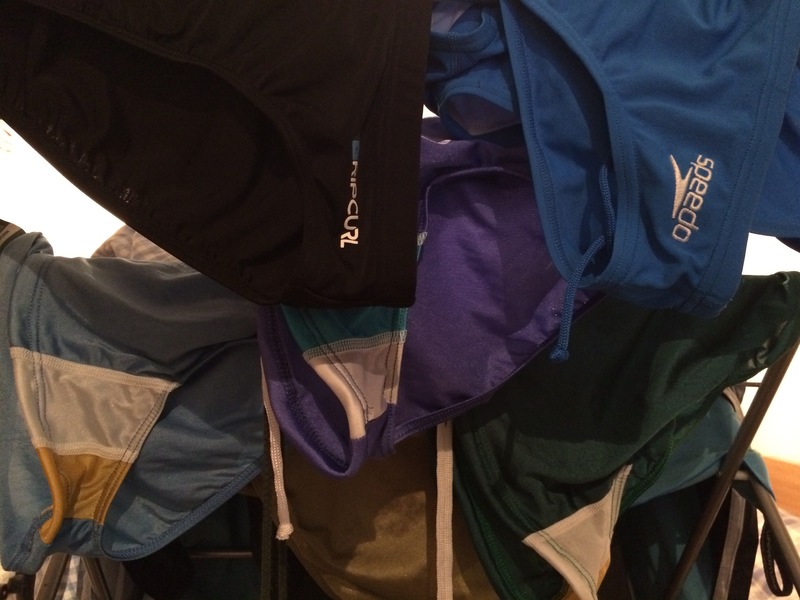 Day 13 – Ice Blue Speedos – worn under suit to work. 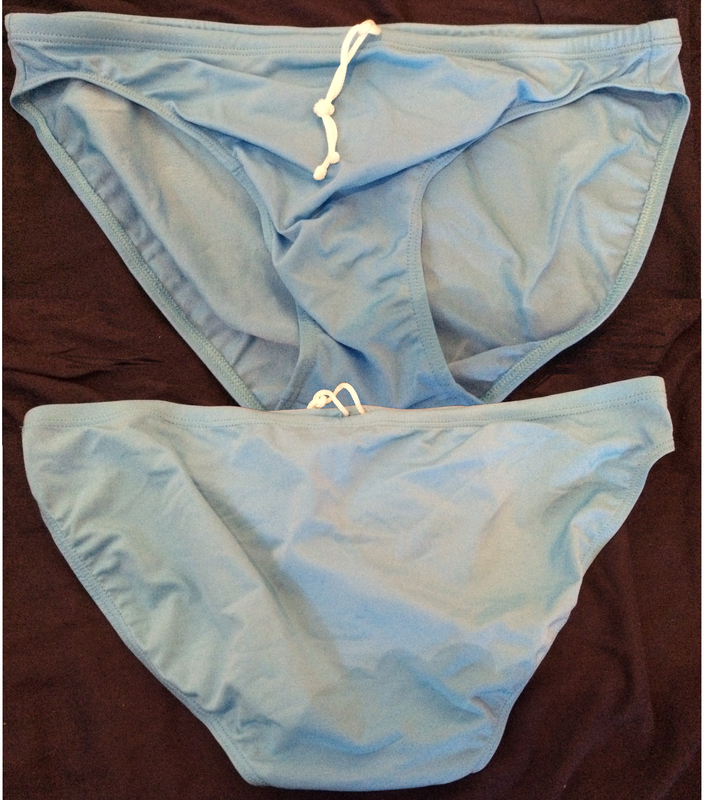 Day 14 – Blue Camo Thong – worn under suit to work and after work drinks. And this week’s Laundry done. Day 16 – AussieBum WJ Olive – under suit to Black Tie Dinner. 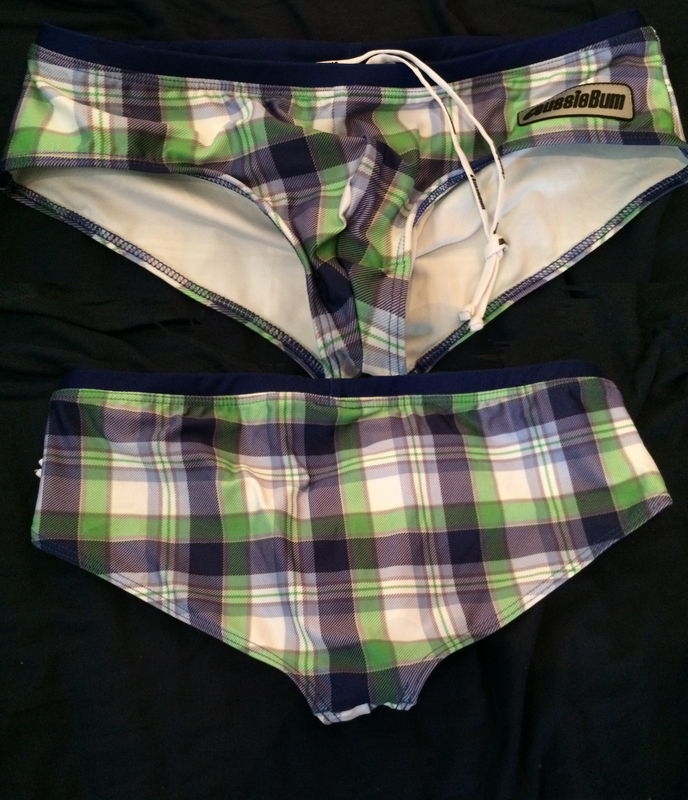 Day 18 – AussieBum WJ Loose 2.5 Portsea – worn to work under suit. Day 19 – AussieBun WJ Loose 2.50 Whitehaven – in my rush to get out the door this morning I grabbed these by mistake so these have these were worn on Day 9 and today they were worn under my suit at work. Day 20 – Rip Curl Sluggos – worn to work under suit. Day 22 after a short trip – AussieBum WreslteMe Hip Now – worn to work under suit. Day 26 – AussieBum WrestleMe Hip Everybody – worn under Levi 501s out with the lads. Day 28 – AussieBum Classic 1.5 Black – worn to work under suit. Day 29 – AussieBum Classic 2.5 Forest with White Logo on back – worn to work under suit. Day 30 – AussieBum Classic 2.5 Gold with White Logo on back – worn to work under suit. Day 31 – AussieBum Classic 2.5 Forest (no logo on back) – worn to work under suit and then out on a boozy lads night out. 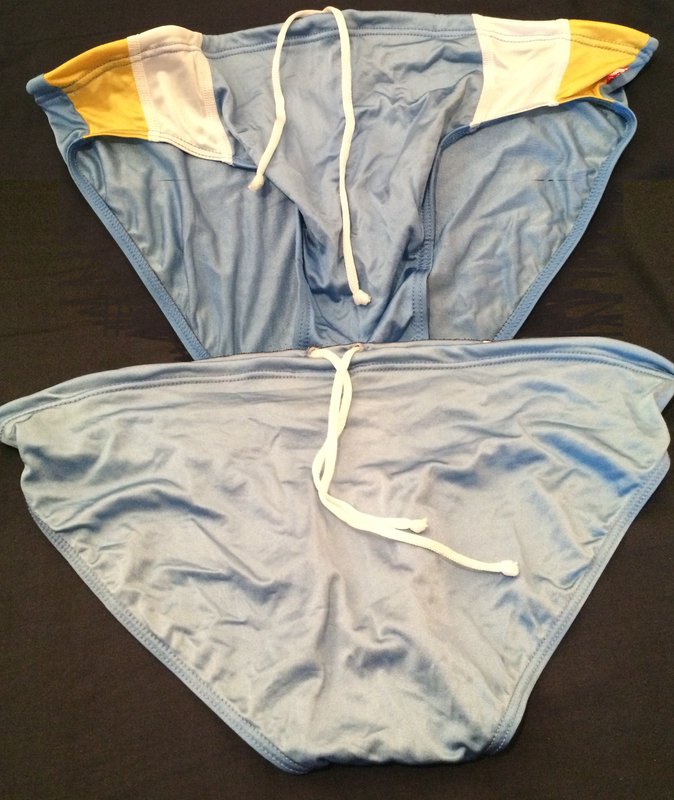 Day 33 – AussieBum WJ Classic 2.5 Ice Blue – worn under basket ball shorts around house and out to shops and mechanics. 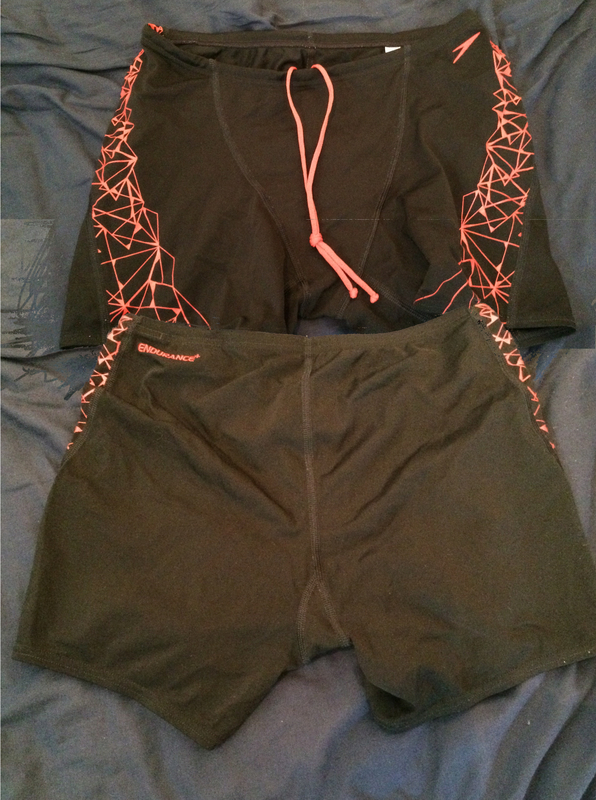 Day 34 – Ca-RIO-Ca – Zinco Light Gray – Bikini Cut – under track pants to shops and around house. Day 35 – Ca-RIO-Ca – Classic Cut Papaya – under suit to work. Day 36 – Black Lycra Thong – under suit to work. 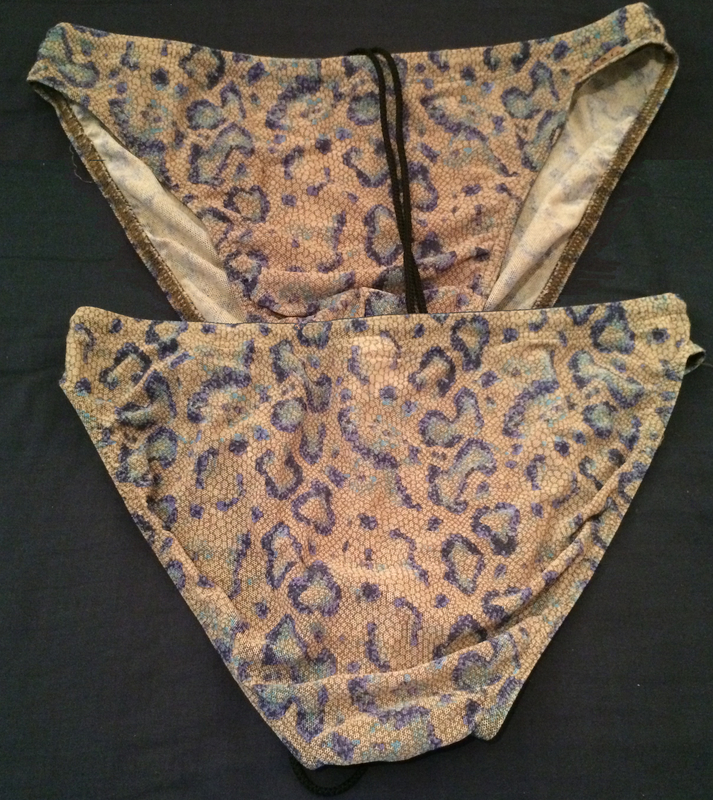 Day 37 – Leopard Print Thong – under suit to work. Day 38 – EyeLine Bondi – under suit to work and out to pub quiz with friends. Day 39 – Arena Jammers – under Levi 501’s to work.